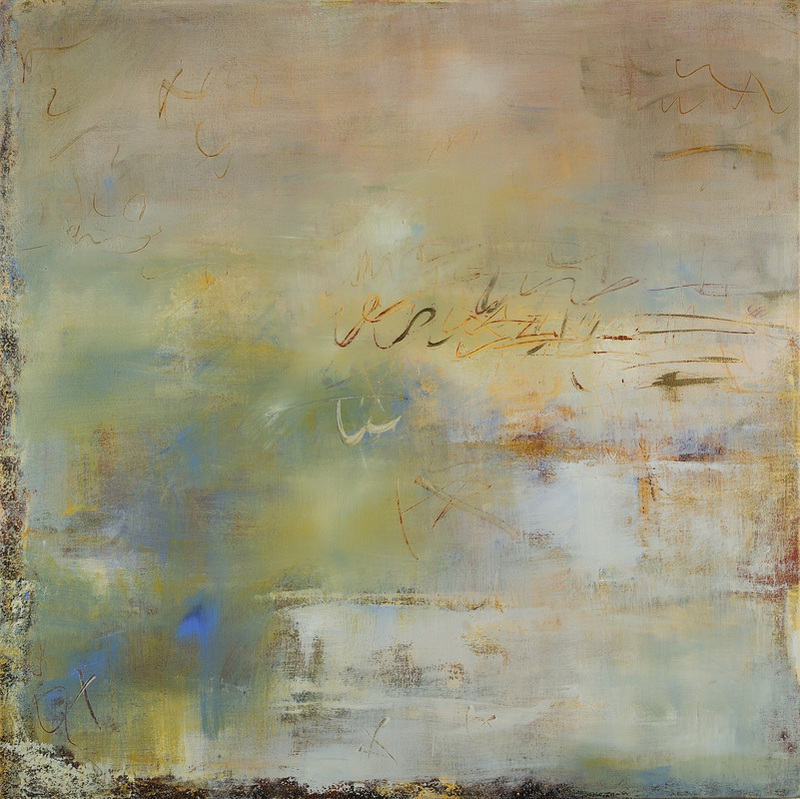 "The Whisper Galleries" was composed and presented in tandem with Donna McGee's painting, "Hush" (shown below) for an exhibit pairing poets and visual artists. (See "The Painted Word" under Readings and Exhibits.) The text is intended to create a feeling tone in a manner that is similar to the painting. It was composed of multiple layers of texts written over a period of 15 years, in much the same way that paint and markings are layered over one another in "Hush." Donna is an artist in Bethesda, MD. Her paintings are inspired by nature and create a contemplative and meditative atmosphere. The painting is 36" x 36", acrylic on canvas. For more information, contact ArtistMama43@gmail.com.